Families thrive on special moments and memories, the kind that are shared and made together. Creating family traditions is an important part of a child’s life, helping them to feel connected and important. One of the simplest family traditions is reading a Christmas book together. 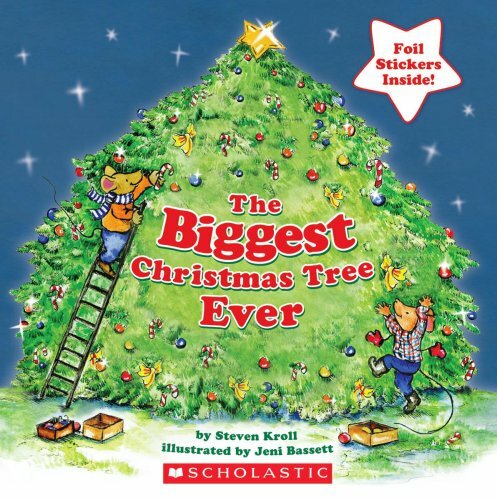 Many families enjoy reading the same Christmas books each year to announce the arrival of the “Christmas Spirit”; others enjoy the act of introducing a new holiday tale to their library each year; and even more magical is choosing a holiday book to donate to a child in need, because after all … the holiday season is about giving. Christmas is a special time and calls for special stories. I am sure you will find the magic you are looking for in these wonderful Christmas books. TCBR analysis: This marvelous tradition is explained with clever rhyme (I love books that rhyme), and is complimented by fun and heart-warming illustrations. It’s a great book that the whole family can appreciate! Publisher’s synopsis: The Elf on the Shelf: A Christmas Tradition™ is an activity the entire family will enjoy. 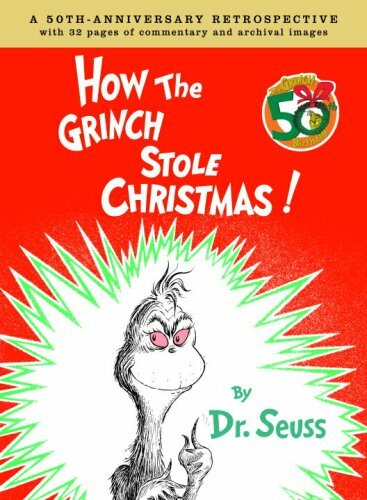 Based on the tradition Carol Aebersold began with her family in the 1970s, this cleverly rhymed children’s book explains that Santa knows who is naughty and/or nice because he sends a scout elf to every home. During the holiday season, the elf watches children by day and reports to Santa each night. When children awake, the elf has returned from the North Pole and can be found hiding in a different location. This activity allows The Elf on the Shelf to become a delightful hide-and-seek game. 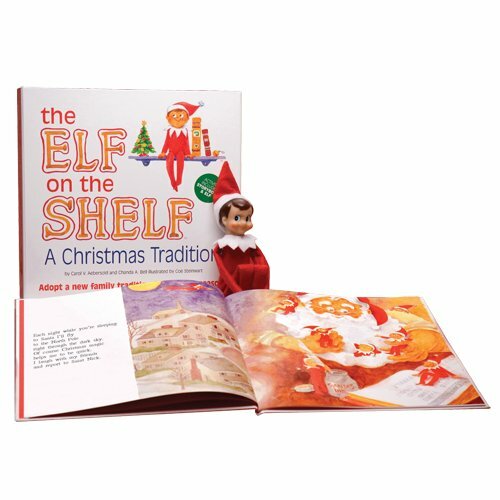 Each Tradition-in-a-Box™ comes with its very own scout elf, a hardbound children’s book and a keepsake box for easy storage. In addition, each shipment is marked for “Special Delivery” from Santa’s workshop. TCBR analysis: The perfect addition to any girl’s Fancy Nancy collection! More than enough sparkle to brighten a holiday story time. Publisher’s Synopsis: What could be fancier than Christmas? Presents with elegant wrapping paper, festive decorations, Christmas cookies with sprinkles—and who could forget the tree? After all, there is no such thing as too much tinsel. Ooh la la! This year, Nancy is especially excited about decorating the Christmas tree. She bought a brand-new sparkly tree topper with her own money and has been waiting for Christmas to come. But when things don’t turn out the way Nancy planned, will Christmas still be splendiferous? 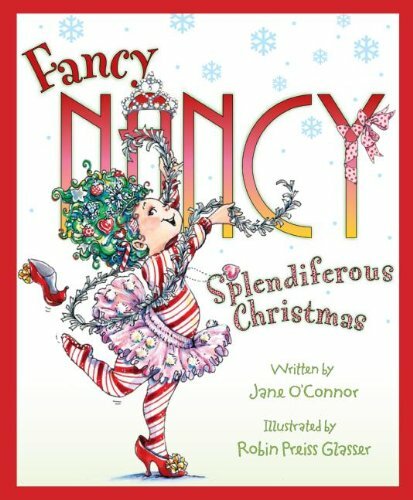 In this merriest of stories from bestselling duo Jane O’Connor and Robin Preiss Glasser, Nancy proves once again that a little fancying up can go a long, festive way! TCBR analysis: So incredibly heart warming. A moving story, matched with winning illustrations. Publisher’s synopsis: Once there was a tree that stood in a field away from the other trees. It longed to be part of the forest—or part of anything at all. After many lonely years, its dream came true. And the little fir tree’s life changed forever! And soon—o shining wonder—the little fir tree was . . . Celebrate the true spirit of Christmas with heartwarming text by the author of Goodnight Moon and exquisite, glowing paintings by award-winning artist Jim LaMarche. TCBR analysis: Kids will really enjoy the energy from this wildly fun take on Santa Claus. Publisher’s synopsis: Santa Claus Live In Concert, One Night Only! Are you ready to rock? Santa and his rowdy reindeer band bring down the house on Christmas Eve! TCBR analysis: A touching story, but boy-oh-boy are Loren Long’s illustrations amazing. This is a definite favorite. Publisher’s synopsis: In a wintry little town, a drummer boy appears on a child’s doorstep. And when it is still and quiet, the drummer boy plays, boom pum pum boom pum, and warms the child’s heart. But one day the drummer boy is accidentally knocked into the trash, sending him on a journey he never imagined—a journey on which he continues to play his drum, warming the hearts of others, from a rat to an owl to a snowman. And in a touching conclusion, his own heart is warmed as he plays to his most perfect audience: the baby in a manger. 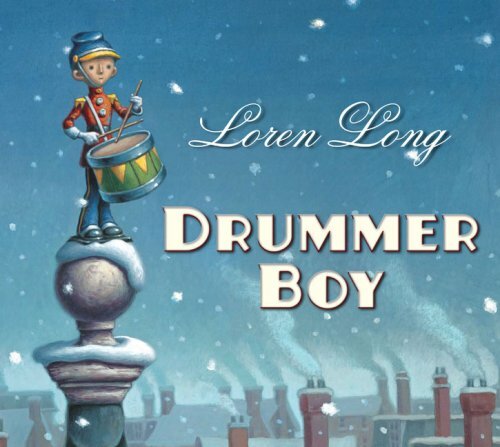 Loren Long brings this story of an unforgettable little drummer boy to vivid life with his timeless and magical art. TCBR analysis: Lots of fun for the whole family — especially those families that have enjoyed the rest of this series. Publisher’s synopsis: What’s more fun than spending Christmas with your family? Well, spending Christmas with your family and Mouse, of course! The creators of the #1 New York Times best-selling If You Give . 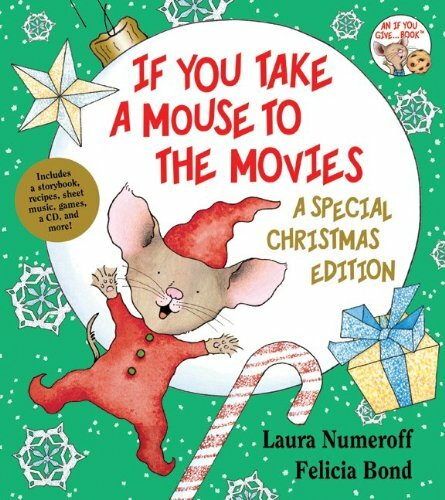 . . Book series have brought their stories, recipes, songs, games, and activities to this deluxe edition of If You Take a Mouse to the Movies—a perfect way for families to celebrate the holidays together. TCBR analysis: Who knew that you could teach a small child the meaning of “prosperity” with such ease? Amy Krouse Rosenthal has a beautiful way with words, and the illustrations are sweet and sugary. Publisher’s synopsis: This scrumptious follow-up to the bestselling Cookies: Bite-Size Life Lessons captures the spirit of the holiday season. From making the same kind of cookies at the same time each year (tradition) to decorating them with lots of sprinkles (celebrate), youngsters will gobble up vocabulary words and holiday lessons in this charming dictionary of sorts. 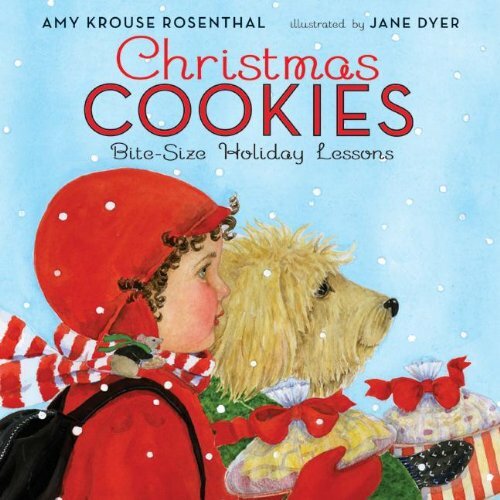 Amy Krouse Rosenthal’s timeless morsels of wisdom paired with Jane Dyer’s cozy illustrations are as irresistible as the aroma of cookies fresh from the oven. Go ahead, take another bite! TCBR analysis: Written and illustrated with entrancing sensitivity, The Christmas Magic is a beautiful, heart-warming tale; perfect for an intimate holiday story time. Publisher’s synopsis: Far, far North, when the nights are longest and the stars shine brightest, Santa begins to prepare for his big night of giving. He gathers his reindeer, feeds them parsnips and berries, and polishes his bells and his sled. Then lovingly, he chooses toys for every child in the world. For Santa loves them all, and he knows what each child at heart wants most. Then, with the thrum of magic that makes reindeer fly, he spreads the Christmas joy and warmth throughout the world–as he always has — and always will until the end of time. Lauren Thompson is known for her uncanny ability to reach the hearts and minds of the youngest readers. Jon J Muth’s luminescent watercolor strike all the perfect chords in this warm, reassuring Christmas story. TCBR analysis: What a great ending, a real giggler! Publisher’s synopsis: It’s the night before Christmas, and Splat wonders if he’s been a good enough cat this year to deserve a really big present. Just to make sure, he offers some last-minute help to his mom and, in typical Splat fashion, he messes up completely! That night Splat stays awake hoping to see Santa Claus. 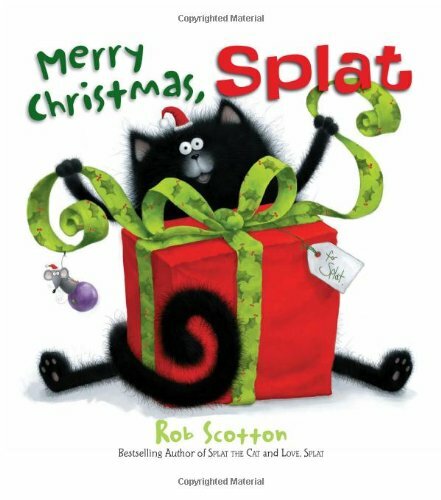 But when Splat misses him, he’s sure his Christmas is ruined—along with his hopes for a really big present. . . .
Everyone’s favorite furry cat is back in a Christmas story perfect for any child anxiously awaiting Santa’s arrival. TCBR analysis: This writing and illustrating duo are one of my all-time faves, and Stick Man is splendid. Bravo, well-done! But one day, Stick Man is carried off by a mischievous dog who wants to play fetch! Things go from bad to worse as Stick Man is carried farther and farther away from home. Lonely and lost, Stick Man desperately wants to get home to be with his family for Christmas. And when he helps Santa Claus out of a bind, he finds the perfect ticket home! TCBR analysis: The holiday season from a cats perspective. Uber-charming and a beautiful read-aloud. Does the air smell of tangerines? Can you feel it in the wind? Or hear it in the sound of a song? TCBR analysis: A great tale about co-operation. The stickers, which are included in the book, add extra kid appeal. Publisher’s synopsis: It’s the day after Thanksgiving, and Clayton and Desmond feel the chill in the air. The cool weather makes them think of Christmas . . . and Christmas makes them think of Christmas trees! Who’ll find the biggest one? 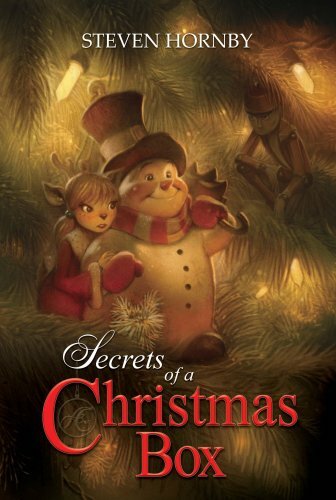 In the newest installment of this beloved, bestselling series, Clayton the town mouse and Desmond the country mouse team up to bring the spirit of Christmas to Mouseville-in a BIG way. TCBR analysis: A true visual treat. 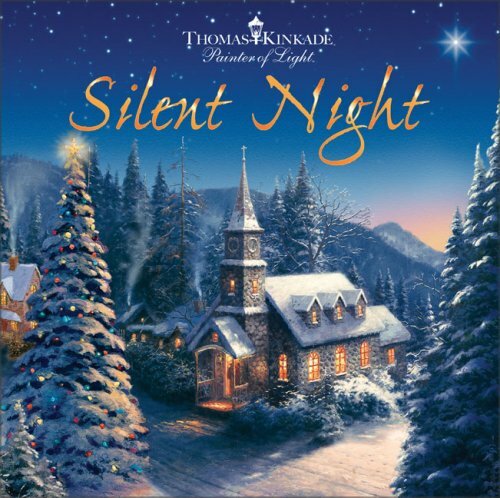 Publisher’s synopsis: Thomas Kinkade, the Painter of Light, illustrates the classic Christmas hymm. TCBR analysis: This is a true keeper. The illustrations are gorgeous. Publisher’s synopsis: With over 600,000 copies sold, Jan Brett’s New York Times bestselling edition of Clement Moore’s classic Christmas poem celebrates its tenth anniversary with a note from Jan and an exquisitely redesigned jacket with red foil trim, making this a delectable holiday treat. 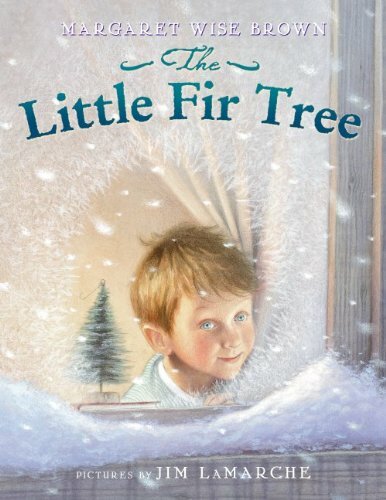 A new generation of readers will find Jan’s visual interpretation of this favorite poem, set in a snowy New England village, both familiar, as St. Nick visits a Victorian family, and surprising, with Jan’s addition of two stowaway elves from the North Pole. 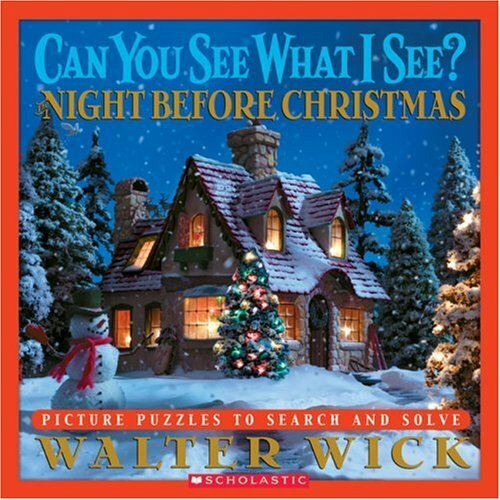 TCBR analysis: Walter Wick is the master of “I Spy” books. Kids and parents alike will be very entertained! Publisher’s synopsis: The first photograph, “The Night Before Christmas,” features a gingerbread house, Christmas cookies, candles, bulbs, and more. “Visions of Sugarplums” is an abstract composition of Christmas confections; and “Such a Clatter!” is a dynamic explosion of objects. In “It Must Be Saint Nick,” Santa is shown in shadow; and in “A Bundle of Toys,” the presents in Santa’s sack are revealed as a magnificent jumble. The final photograph, “Happy Christmas to All” is a beautiful, pastoral landscape, lustrous under new-fallen snow. The original poem is printed on the endpapers. TCBR analysis: The classy and sometimes eerie illustrations add a vintage depth to this classic picture book version. Younger readers may need to have a bookmark handy. 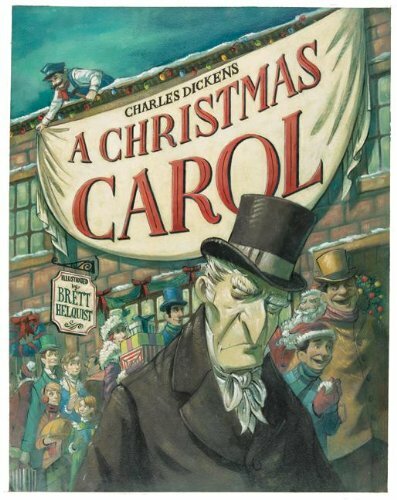 Publisher’s synopsis: In this luminous picture book adaptation of Charles Dickens’ immortal classic, the story of Ebenezer Scrooge leaps off the page to warm the soul of one and all. Be swept away in an unforgettable Christmas Eve, from Scrooge’s first “Bah, humbug!” to the arrival of the Ghost of Christmas Past; from the courage of Tiny Tim to the glory of Christmas morning. Brett Helquist’s art bursts with spirit, humor, and an irresistible attention to detail. Here is a treasure for the whole family to share, year after year. A merry Christmas, everyone! TCBR analysis: Eric Puybaret is one of my favorite illustrators. His images are rich, vibrant and magical. Publisher’s synopsis: What a special Christmas gift this will be: the beloved holiday fantasy, beautifully retold by John Cech (author of our Classic Fairy Tale series) and illustrated by Eric Puybaret, whose imaginative art helped turn Puff, the Magic Dragon into a blockbuster. Cech bases his version on E.T.A. Hoffman’s original, which features not only the story familiar to all ballet lovers, but other wondrous adventures—including the tale of Princess Pirlipat and an explanation of the origins of the Nutcracker himself. Lavishly and elegantly packaged, this belongs under every child’s tree. TCBR analysis: I’m sure you already have this, right? Fabulous rhyme with an excellent message. TCBR analysis: Nothing like a little bit of mystery to spice up the Christmas season! Publisher’s synopsis: The Magic Tree House series has become a staple for inspiring kids to read. 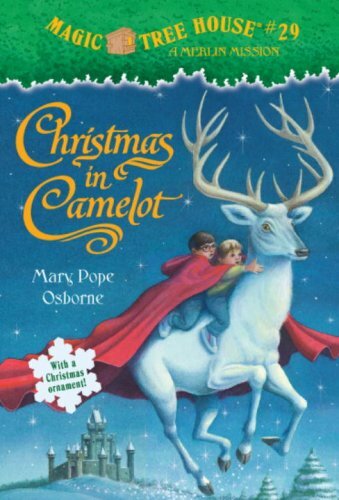 Christmas in Camelot is a very special Magic Tree House book. Here, author Mary Pope Osborne uses the literary skills for which she’s known to create a longer, more in-depth story featuring the characters kids have come to love. The result is magical: a fast-paced but detailed, easy-to-read story. Jack and Annie go on a quest to save Camelot, a quest that will prove to a beleaguered King Arthur that children and imagination really can make a difference. TCBR analysis: An original and imaginative adventure that brings life and extra meaning to christmas tree ornaments everywhere! Publisher’s synopsis: Enter the magical festive world of the Christmas ‘Tree-Dwellers’, as Larry, a Christmas snowman, wakes up after the long sleep in the Christmas box, to find his brother is missing. Desperate to find him before Christmas, Larry, along with his girlfriend Debbie, a newcomer Splint, and Larry’s companion Tinsel, break the laws of the ‘Tree-Elders’ and escape down the tree and away into the house, to look for clues. Away from the safety of the tree and in an unfamiliar world, the Dwellers stumble upon a dark and sinister secret that threatens their entire world. Can Larry and the group make it back to the tree in time to warn the others, and finally uncover the truth behind the ‘Secrets of a Christmas Box’? TCBR analysis: An excellent tool for any young holiday planners … okay, and older ones, too! – Hints and tips for hosting the perfect holiday party. – Yuletide stories, carols, and poems to enjoy around a roaring fire. -Useful advice on gift-giving, shopping, wrapping, and receiving, including tips for what to do when you receive an awful present. – Exciting Christmas games and activities that the whole family can enjoy together, and much more! TCBR analysis: A magical and adventurous page-turner! Publisher’s synopsis: Scared by a storm, Twinklestar, the least reliable reindeer, bolts–causing Santa and his sleigh to crash-land. And though Santa has dropped into a friendly neighborhood, he’s not safe: Jeremiah Goblynch, the ruthless new leader of the Council of Yuleland, is determind to put an end to children’s wishes and turn the holiday season into his own personal moneymaking scheme. As the last REAL St. Nick around, onlySanta stands between Goblynch and his grinchlike plan. With the help and hope of kids Charlotte and Ben, Santa must face Goblynch and his Nutcracker goons to save Christmas! TCBR analysis: Just what you would expect from an unabridged edition of this classic must have. The perfect version for the more mature readers. 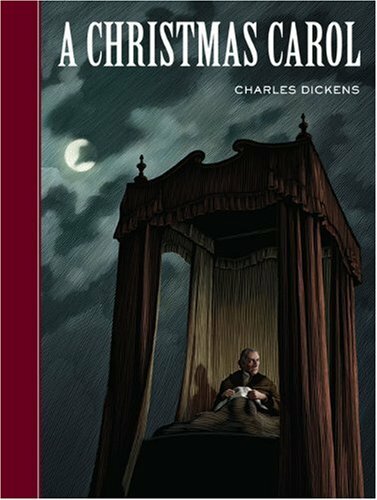 Publisher’s synopsis: Beloved in Christmases past, and sure to remain a favorite into Christmases of the future, Dickens’ popular holiday tale is the perfect Christmas present. The uplifting tale follows the mysterious and magical events that transform the miserly, miserable Ebenezer Scrooge into “as good a friend, as good a master, and as good a man” as ever lived. Update: Since creating this list of books that showcase Christmas magic, dozens more books boasting the ideal Christmas story have made their way onto bookshelves. We think you may enjoy our Christmas Books booklist from 2013: Christmas Books: 9 of the Best New Books for Christmas. This is an amazing review! We have a family tradition of unwrapping and reading Christmas books throughout the month of December. I’m always looking for new books to add to our collection as my son gets older. This is a great list! You have a fantastic tradition and I’m so happy you enjoyed the list! Great list! See some new titles we need to get for this year! Which new titles caught your eye? Great list! I am planning a trip to the bookstore today and will check them out. Nice list. Here is one that should be on the list….”Great Joy” by Kate DiCamillo a lovely story and beautiful illustrations. 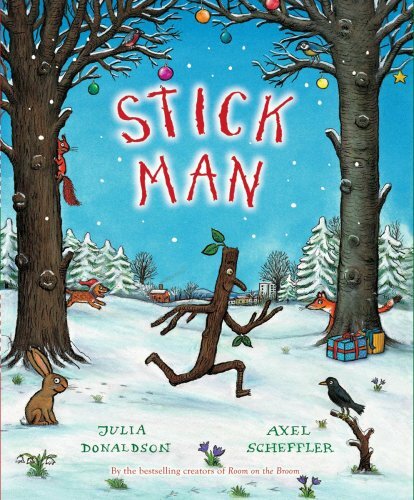 Thank you for compiling this wonderful list – Stick Man is our favourite Christmas story. This year we are also enjoying the very funny ‘Aliens love Panta Claus’ by Claire Freedman. Found this one on Amazon, made us laugh. Probably best for wiener dog people like us. “Could Wiener Dogs Save Christmas” ebook. 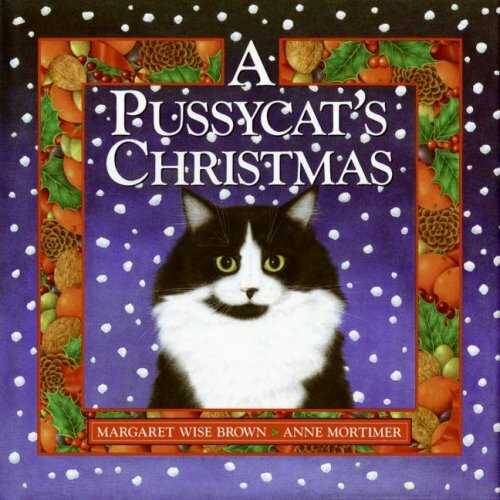 i think that this is one of the best books for christmans too! I reccomend it very much.. Interesting list of books ; thanks for sharing . While my magical children’s Christmas story, written in verse, is not on this list, it has been highly praised by educators. If you would like to know more about the book and why I wrote it, please visit my website http://www.snoshoobunny.com. A portion of the sale of each book is donated to the Doug Flutie Jr. Foundation for Autism. Great list. I’ve just bought a new book this xmas that isn’t on many lists. I just can’t wait for christmas by natalia frost. Really good and modern my daughter loves it. Just another one to look at. All it takes is just 30 seconds to put in in your system. I hope families will also enjoy my new book, Spider’s Gift: A Christmas Story (Pauline Books and Media) with delightful illustrations by Rebecca Sorge. You can also check this book out: https://www.amazon.com/Santa-Mouse-Christmas-Story-Little/dp/1549703366/ref=sr_1_26?ie=UTF8&qid=1508531725&sr=8-26&keywords=santa+mouse+book. Rather unique! I hope readers will also enjoy my Christmas book, Spider’s Gift: A Christmas Story (Pauline Books and Media) by Geraldine Ann Marshall. In the stable, were also a spider, a an independent honeybee, and a cricket! What gifts did they give? A good list. Thanks for sharing. I recently wrote a young child’s picture Christmas book titled: “Happy Birthday Jesus- The First Christmas” , by Patricia Field. Young children are literally drawn to the beautiful, colorful illustrations. They also gain understanding of very important concepts, such as the virgin birth and God’s providence, which have been accurately expressed on their level of understanding. 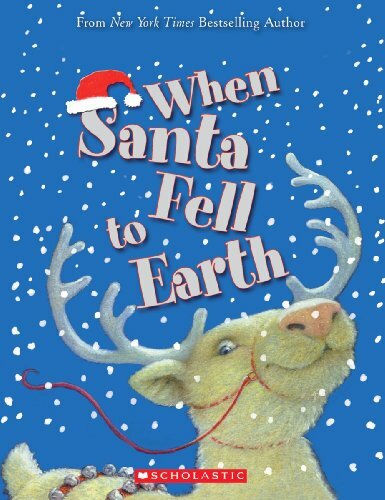 Please go to http://www.patriciamfield.com for a look at this adorable, worthwhile Christmas book! May God bless you! Love many of these! Though (even for white children) I’d recommend searching out diversity in children’s books. Some good Christmas ones we enjoy are here: https://beyondthesnowyday.blogspot.com/. Book by Hisako Aoki and Ivan Gantschev. You really should check it out. 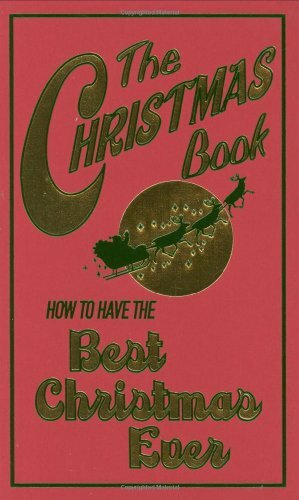 Great review I’m looking forward to reading The Christmas Book: How to have the best Christmas ever, I’m always looking for great party games and ideas. The Sparkling Black Pot by Jeanette Chamblis is a great book for a Christmas gift too.